Azoth Systems presented its technological innovation at the “Space and diving” conference, organized by Thales Aliena Space in Cannes (France). Azoth Sytems was present at the 2018 International Diving Exhibition in Paris. 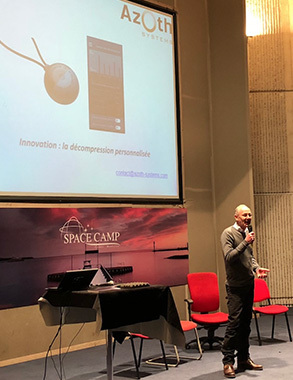 Axel Barbaud, CEO and Julien Hugon, Scientific Director of Azoth Systems, presented our innovation on custom decompression at a technical conference. It was a great opportunity to meet all the actors of the diving world, amateurs, clubs and professionals. 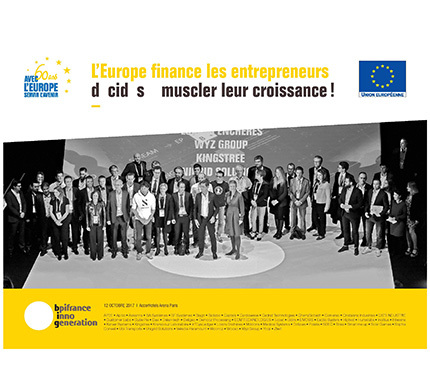 Azoth Systems participated in the third edition of BPIFrance Inno Generation at the AccorHotels Arena Paris. A day of exchanges and meetings on innovative and promising projects that highlight diversity at the heart of the European Union. 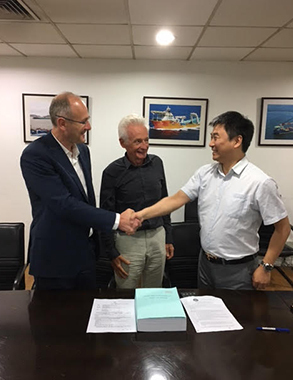 Azoth Systems has signed a contract with the Shanghai Salvage Bureau for a duration of 18 months. Our mission is to advise this Chinese institution responsible for rescue operations on the high seas, by optimizing their saturation diving procedures. This contract is a proof of the trust placed in our expert teams in deep diving safety. As part of a business opportunity meeting with Canada, Axel Barbaud, founder of the company, told about the cooperation between AZOTH SYSTEMS and Defense Research and Development Canada (DRDC) at the French Chamber of Commerce and Industry (CCI) in Toulon. 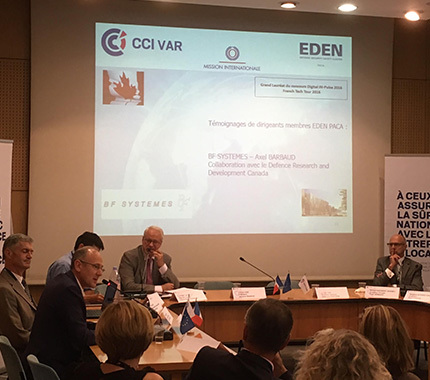 This meeting was in partnership with the International Mission, the EDEN (Defense, Safety and Security Cluster) of the Provence-Alpes-Côte d’Azur region and the EDEN federation, the CCI of Var and the International CCI of the Provence-Alpes-Côte d’Azur region (France). 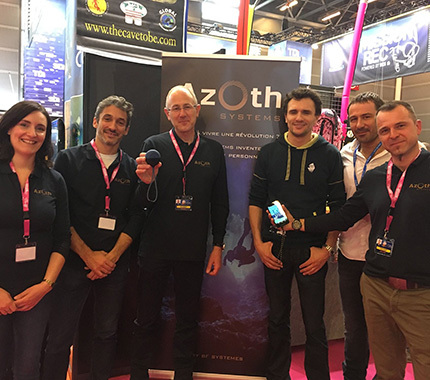 Azoth Systems participated in the 2017 International Diving Exhibition in Paris. In particular, we presented our new technological innovation: a connected sensor for the detection of decompression microbubbles and its associated smartphone interface. Azoth Systems is the winner of the 2016 Digital Impulse National Contest, including a € 45k prize and a promotional campaign with participation in the China French Tech Tour (Hong Kong, Shenzhen, Shanghai, Beijing). Azoth Systems is committed to professionals and the general public in the world of diving safety. You are precious, we are precise.